Spookify your yard this Halloween with LED lighting. Have you made your home frightening and spooktastic this Halloween? It’s not too late. You can still dress up your yard with oogy-boogy orange, ghoulish green, or putrid purple lighting. And when it comes to colorful lighting, LEDs are a particularly popular new technology. 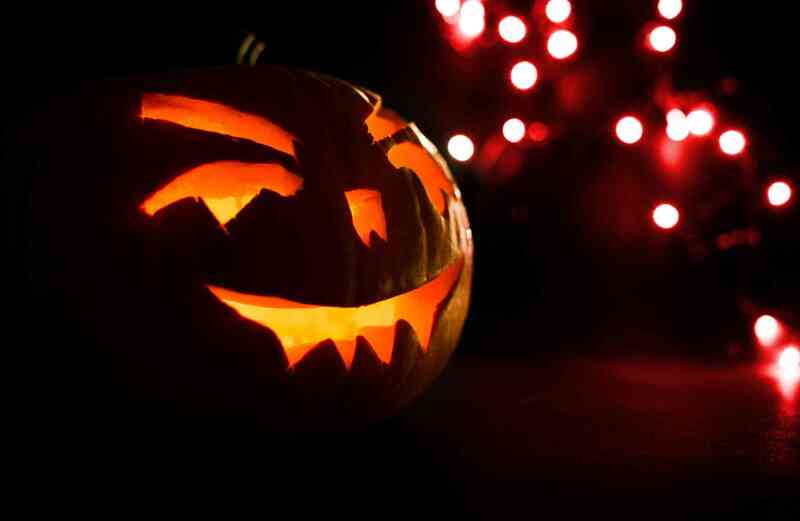 Here are a few reasons you should consider using LEDs for your festive Halloween lighting this year. LED means “light emitting diode” and they work by moving electrons across a semiconductor material instead of heating up a filament. Unlike typical bulbs, LED’s don’t get very hot and they don’t have a filament that will burn out. Although the cost of semiconductor material sometimes makes LEDs more expensive than regular incandescent bulbs, they come with a large list of other advantages that more than make up for their initial cost. LEDs produce more light per watt than incandescent bulbs, which is particularly useful in battery powered applications where energy savings are important. Unlike incandescent bulbs that turn yellow when dimmed, LED’s do not change their color as the current passing through them is lowered. LEDs do not require color filters to create colored light, making them more efficient and able to produce a broader spectrum of colors. LEDs are dramatically more energy efficient than incandescent bulbs, and can save significantly on costs when a lot of lighting is used, such as outdoor holiday lighting. LEDs have a much longer lifespan (60,000 hours compared to 1,500 hours), so they will not need to be replaced as frequently as traditional bulbs. The solid state lighting structure of LEDs makes them more durable as well, and are better able to withstand shock, vibration and extreme temperature–perfect for outdoor applications. Because LED lights generate virtually no heat, they can be left on for hours without worrying about potential fire and safety risks. Unlike fluorescent lights that use mercury, LEDs are made completely from non toxic materials. They are also recyclable and considered earth friendly. This entry was posted on Friday, October 28th, 2016	at 1:15 pm	. You can follow any responses to this entry through the RSS 2.0	feed. Both comments and pings are currently closed.